Rubbed and curled to corners. Minor marks to back otherwise clean and sound. Paperback. 267pp. 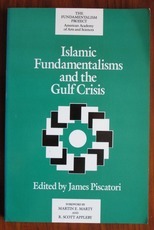 A Fundamentalism Project Report.